If there is anything we love more than cute little dogs, it’s swimming! And that is exactly why we are head over swim fins in love with the Tornado Walkie Walkies Swim Cap. This electric rose pink swim cap features an adorable and fun little chocolate brown and snow white pixelated dog from the future over a big “Take a Walk” motto in liquorice black over a Tornado logo at the bottom. If you are dog crazy and swim obsessed, this swim cap is a dream come true! 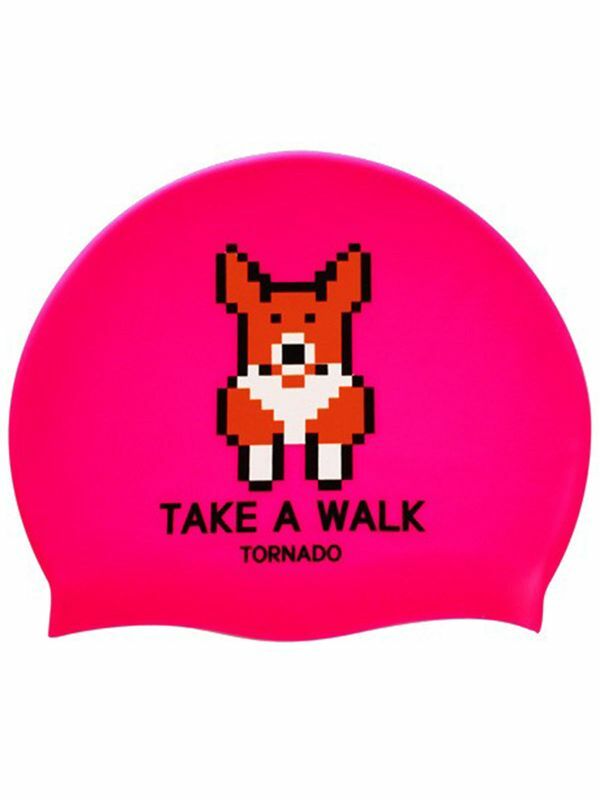 Like all of the gear from our fave Korean swimwear company, the Tornado Walkie Walkies Swim Cap is top dog quality!